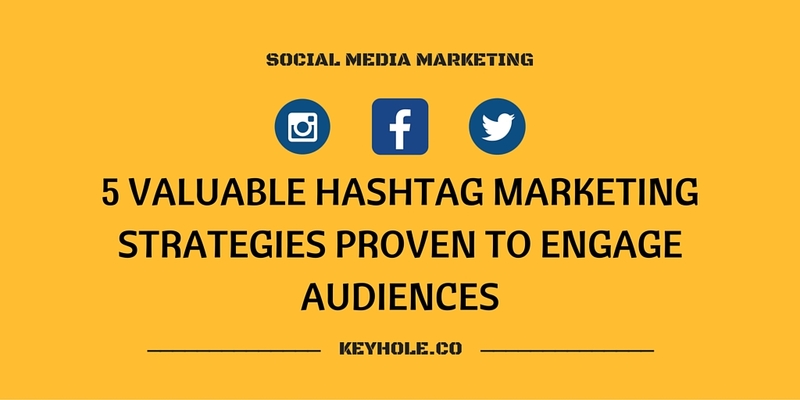 Using hashtags effectively goes beyond casually plugging them into your tweets and posts. On platforms such as Twitter and Instagram, calculated hashtag marketing can boost impressions, make your content more searchable and encourage users to talk about your brand. 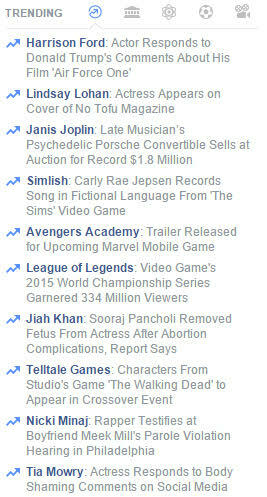 That’s why learning how to leverage tagged topics should be a priority for marketers. Think of a brand hashtag as your signature. Unique to your business, it should be a concise and relevant slogan you include when sharing original content. Encourage followers to use it as well. This way, they’ll have a clear method of sharing posts with you and others interested in your company’s products or services. The online community will also know how to find content about your brand. A brand hashtag is a way for users to let the social community know what they think about your company. Instead of just sending you a message, they’re speaking to their followers and other users who look for tagged posts. You build a discussion around your brand, encouraging the online community to learn more about your products and services while promoting them. Ideally, consumers will also follow links you share. Those using the hashtag will draw attention to their posts, possibly earning more followers. As a bonus, you can run a promotional contest. For example, the person who creates the most-shared post using your hashtag will win a prize at the end of each month. Everyone loves to win. Just watch engagement steadily rise. Winners, a popular Canadian apparel store, uses #WinnersFabFinds across all social channels. Both catchy and unique, Winners promotes the brand hashtag both online and in-store. Another great example of effective hashtag marketing. Customers share content, while Winners gets original pictures of them enjoying products. Constantly changing in real-time, a trending hashtag can last for days or mere minutes. So when you see a trend that relates to your business, don’t hesitate to engage in it with relevant content. By sharing content through a trending hashtag, it’ll be seen by a group larger than your contacts and followers. In a sense, your audience can be limitless — anyone who clicks on the trending topic can see your post. And if that post is witty, original or informative, the shares it generates will further boost impressions and comments. When #CollegeIn5Words trended on Twitter, Denny’s Diner furthered its reputation as a company with a funny social media presence. Being funny in this situation has its benefits, as Denny’s earned an enviable amount of likes and retweets. Not to mention all the replies it received, with people tagging their followers to share a laugh. Popular on Twitter, you can use chat hashtags to discuss a topic with users who are interested in the subject matter. There are many industry- and audience-specific chat hashtags. A quick search using key terms should reveal one. Chats are typically held at set times, sometimes involving one user asking questions and others giving their thoughts. You can also start and promote your own, giving your brand more exposure. Just make sure the hashtag’s short. Encouraging meaningful conversation is key, so it’s best not to deeply cut into Twitter’s 140-character limit. People want to talk about topics they’re passionate about, so Twitter chats can give you access to a receptive audience. With a popular chat hashtag, that audience is already established and waiting to be engaged. Connect with like-minded individuals. Many people may be interested in your company, but not know about it. Using a chat hashtag is a way of informing them about your ideas, as well as your products or services. Demonstrate your expertise on relevant topics. If people are invested in a certain subject, they want to know more about it. Sharing your content can spark meaningful conversations. During every Toronto Maple Leafs game, #TMLTalk is a trending topic. The team with the NHL’s largest fan base interacts with supporters using the hashtag, encouraging them to share opinions and content. Fans are passionate – giving them an online forum helps them interact with fellow enthusiasts. Organizations such as news sites can also use the hashtag to share stories and earn clicks. Meanwhile, the Maple Leafs organization gains another way to build, and communicate with, a dedicated audience. They’re simply tagged words that relate to a posts’ content. For example, a tweet about social media ads may contain “#digitalmarketing.” A post about a tourist attraction may include the city’s name, and so on. Think of content-reflecting hashtags as a way of optimizing content for search. Audience members may stumble upon your posts when looking for the words you tag. #CleanEating is a popular Instagram hashtag that carries over onto Twitter and other social platforms. Although it’s dominated by pictures of home cooking, a health foods store or restaurant could certainly leverage the hashtag to potentially earn comments or clicks to their website. Used with a location hashtag, an in-person visit also wouldn’t be out of the question. The goal of a call-to-action (CTA) hashtag? Encourage the online community to perform a specific action involving your brand. When a CTA hashtag does well, you’ll see posts across social platforms involving people taking appropriate action. Feel like they’re contributing to an important cause. Going back to the mental health example, people would follow such a hashtag because they feel as though they’re challenging the stigma of certain illnesses. Think the action is genuinely fun. Who wouldn’t want to take a silly picture or share an interesting story? Earn a sense of participation. If your friends are posting with a certain hashtag, it’s natural to want to contribute. That being said, a CTA should be doable. You likely won’t engage your audience by encouraging an action that’s almost impossible. Coca-Cola’s #ShareACoke campaigns harnessed the power of a fun CTA and became a wildly-successful hashtag marketing initiative. Creating cans and bottles that read “Share a Coke With …” followed by a name, the company encouraged social media users to post pictures of themselves sharing the drink with friends and family. Ready to enjoy a Coke and get some #gaming in this weekend. I am so excited to collaborate with @CokeEsports! Like a brand hashtag, this particular CTA campaign benefits the company and individual users. The users get to share content with a wide audience, while Coca-Cola gets original images of satisfied customers and potentially increases sales. These five hashtag marketing techniques are shown to boost engagement by encouraging consumer conversations, making your content more searchable, expanding your reach, and more. Implement them in your social media marketing strategy to see how effectively they work for you. Let us know in the comments how you implement hashtag marketing in your business’s next social campaign!